Starting off the final year of high school is an exciting time. 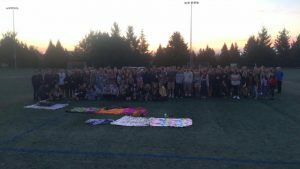 Senior traditions can help bring your senior class together and help them bond. It can also help underclassmen look forward and work toward being a senior themselves. Below are a few traditions happening in Oregon High Schools. If you have any senior traditions you want to share with us, tag us in social media (@OASCLeaders) or email Katie at katie@oasc.org. A new school year always brings new possibilities–just like the sun rising every day. Celebrate your seniors with Senior Sunrise–gather your seniors to watch the sunrise together. Whether you do it at your high school or at a nearby park, celebrate a new beginning and the start of the final chapter of high school. Tualatin High School chose to hold theirs at a local park this year. They invited local businesses to donate donuts and coffee to hand out to students. 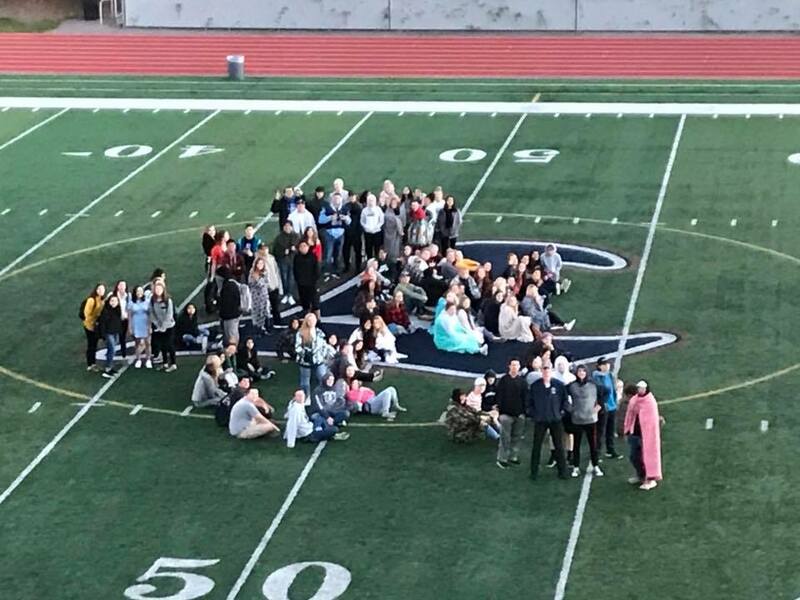 Liberty High School held theirs on their football field and played music. The final song of their playlist was “Here Comes the Sun” by the Beatles. Giving seniors exclusive access to hallways and walkways is another well known senior tradition. 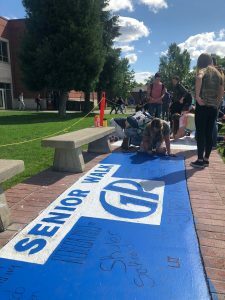 At Grants Pass High School, a sidewalk in their quad is dedicated to seniors only. They show this by painting it in school colors and allowing seniors to sign it. While not all campuses have the opportunity to have senior exclusive walkways, creating a special path where students can have their name can create school spirit. You may consider bricks, which can easily be changed out and new names written on then. Hillsboro HS, Scappoose HS, Century HS, and Mazama HS all use decorated parking spaces as some sort of fundraiser for their school or senior class fund. Hillsboro High School allows any student (not just seniors) a small portion of the parking space. 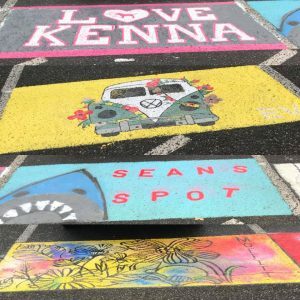 And Century High School paints their seniors nick names instead of painting the whole spot. While some school districts will not allow paint, another alternative would be Chalk. Your ASB can also offer to clean the chalk off the parking lot after so many days if the rain doesn’t take it away. “Senior Night” is another great way to celebrate seniors. On the last home game of the season, celebrate senior players before the game by announcing them and their accomplishments. Many schools involve parents to join the students before the game. You can celebrate more than just players too! While many sporting events bring out the community, before the last home game, it would be the perfect opportunity to announce seniors in the pep band, dance team, cheer squad, and clubs at your school. Some of the traditions above can be used at the end of the year as well. 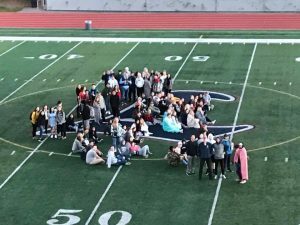 Consider a “Senior Sunset” on the last day of the school year or a “Senior Walkout” where seniors walk out of the school year on the last day of school together. Banks High School does a Senior Walk at the end of the year where they dress up in their Cap and Gowns and walk through their feeder elementary and middle schools. Whatever traditions you choose to do, we hope you use it as a way to unify and strengthen your school.